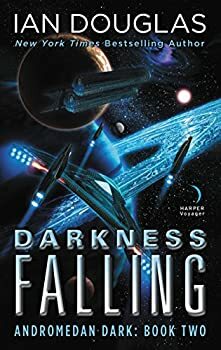 Ian Douglas (a pseudonym of William H. Keith) is the New York Times bestselling author of the popular military science fiction series THE HERITAGE TRILOGY, THE LEGACY TRILOGY, THE INHERITANCE TRILOGY, THE STAR CORPSMAN, and the ongoing STAR CARRIER and ANDROMEDAN DARK series. A former naval corpsman, he lives in Pennsylvania. CLICK HERE FOR MORE STORIES BY IAN DOUGLAS. Altered Starscape (2016) has its jumping off point (literally) in the year 2162. Humanity has been in contact with other galactic races for thirty-eight years, and still feels itself at a disadvantage in comparison with the many more advanced races. Earth’s government has entered into an alliance with some of those alien civilizations, receiving FTL travel capabilities, fusion power and other advanced technology in return for promised assistance in a vaguely understood alien war. Now the massive colony starship Tellus Ad Astra (“Earth to the stars”), carrying over a million people and AIs, is traveling to the Galactic Core on a cultural union mission. 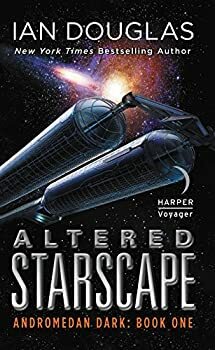 Ian Douglas’s hard science military space opera adventure series, ANDROMEDAN DARK, picks up where the story left off in the first book, Altered Starscape. The colony spaceship Tellus Ad Astra has been hurled four billion years into the future, when our Milky Way galaxy is slowly colliding with the Andromeda galaxy, where a nearly irresistible force called the Dark Mind or the Andromedan Dark holds sway. The Andromedan Dark is intent on expanding its reach and assimilating all intelligent life forms with which it comes in contact ― voluntarily or involuntarily.